You're up at first light, moving fast up the hill and powering through the last steep section to the top–this is what the Womens Echo Pass 3in1 Jacket from Jack Wolfskin is made for. This simple 3 in 1 jacket consists of a robust hardshell with a linen-like feel. And underneath, the real highlight: a zip-in fleece jacket with a windproof, insulated front. 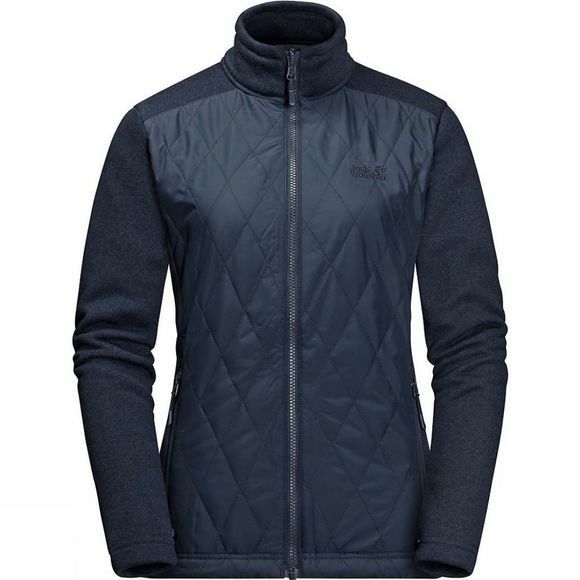 The soft knitted fleece, warm synthetic insulation and windproof fabric is a winning combination for superior warmth and wear comfort–attributes that you will also appreciate when you wear the inner jacket on its own. It is equipped with a system zip.